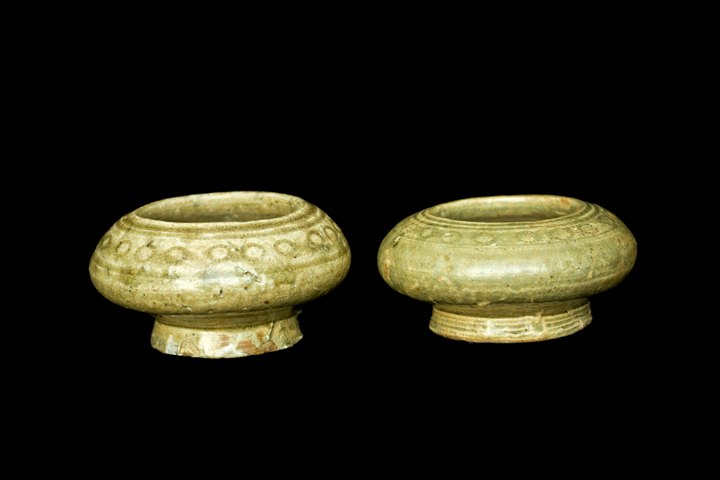 Appraisal: This type of brush washers belongs to the four treasures of the Chinese writing table. The celadon glaze, shape and form, and clay body texture are all in consistent with the characteristics of the time. During the Jin Dynasty, Chinese calligraphy art had fully developed, so there were a lot of great calligraphers. Under their leads, calligraphy became very popular throughout the entire country. To meet these social demands, many celadon brush washes, full of strong artistic value, were produced. 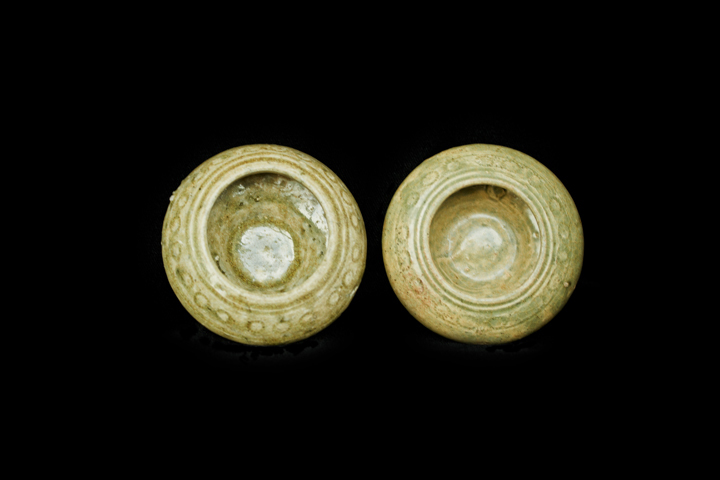 This pair of brush washers is representative of the brush washers from the Jin Dynasty. 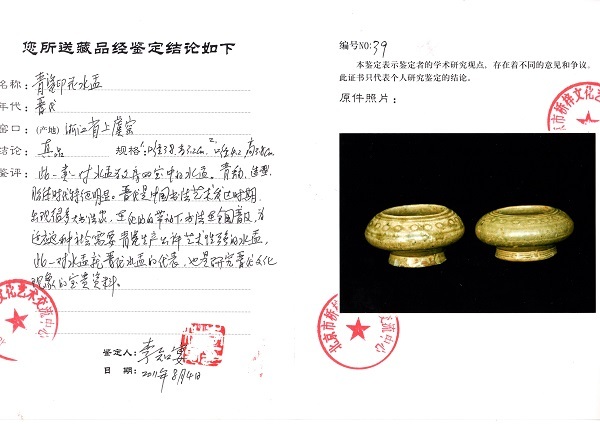 It contains precious information for the study of the cultural phenomenon of the Jin Dynasty. Highly collectible.